A couple in Florida became the grim faces of the opioid epidemic ravaging their state on Tuesday when police posted video of them passed out in a car — oblivious to the hungry, sweaty baby in the back seat, sitting in a soiled diaper. 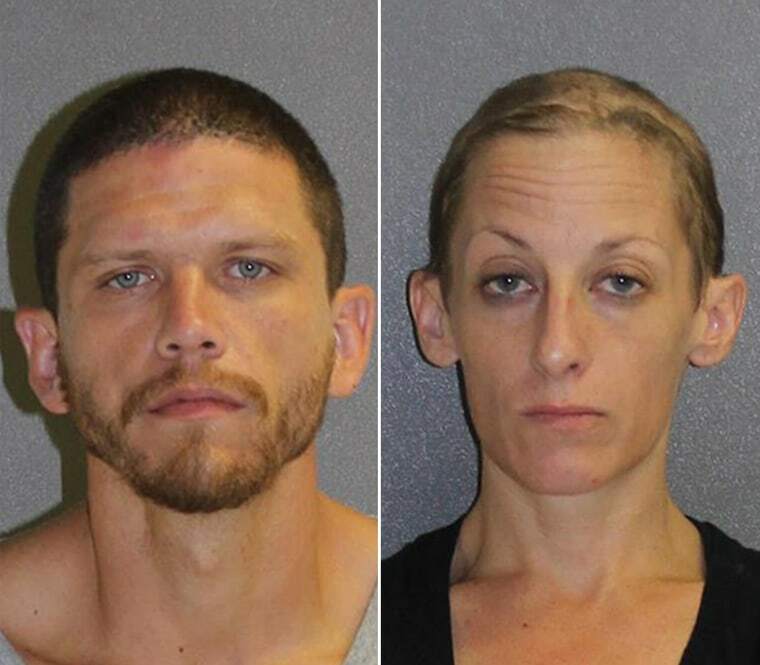 Sean Gannon and Kimberly McCaffrey were out cold in the front seat when deputies, responding to reports of a suspicious car, approached the vehicle in the parking lot of a Circle K convenience store in Deland, Florida, according to a Volusia County Sheriff’s Office report. A rap on the roof of the Nissan roused Gannon from his slumber as he sat behind the wheel, video posted by the department on its Facebook page shows. “What are we doing in the parking lot passed out, with the door open and a baby in the back seat?” one of the deputies can be heard saying. While the deputies were questioning the couple, McCaffrey's daughter began crying. And when the mother took the child out of her car seat, it quickly became apparent she “had not had her diaper changed in sometime (sic) as the diaper was saturated with fluids and leaking,” the report stated. Meanwhile, “Kimberly appeared confused and could not identify where she was located.” She also had “difficulty spelling her own name due to her level of impairment,” the report stated. Gannon, 33, was arrested for driving with a suspended license after police noticed the key was still in the ignition. After deputies spotted track marks on Gannon’s arms, they discovered a “spent syringe” in his front pocket that also tested positive “for the presence of opiates,” the report stated. He was then charged with possession of drug paraphernalia. Hoping to find a place for the baby girl, who is about 8 months old, deputies contacted McCaffrey’s mother “who advised she has been down this road with Kimberly too many times and refused to take custody of the child.” The girl is now with the local child services agency. This is not the first time law enforcement has posted graphic photos or videos of passed-out drug users on the internet in an attempt to get people to take the crisis seriously. Last year, police in East Liverpool, Ohio, posted images of a couple passed out from overdoses sitting in a van with a child in the back seat.